Oklahoma drivers can expect to see some extra help on highways and interstates as they drive into 2019. 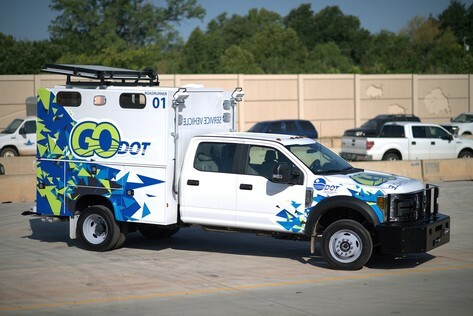 The Oklahoma Department of Transportation is increasing its accident response capability in the Oklahoma City metro with the addition of two GO-DOT safety patrol vehicles. Originally introduced in August 2018 as part of the I-235 widening project, GO-DOT assisted drivers stranded in the work zone by moving them to a safe location. This new effort will see GO-DOT’s patrol vehicles on Oklahoma City’s busiest interstates and aims to have two more vehicles in the Tulsa metro in the future. Motorists are still encouraged to call *55 or 911 in the case of an emergency because GO-DOT is not an emergency or tow service. The addition of GO-DOT comes as ODOT increases its commitment to transportation safety with the signing of the Oklahoma Traffic Incident Management (OKTIM) charter. The TIM training began as a suggested program from the Federal Highway Administration and has been adopted by transportation departments nationwide. The signing of the OKTIM charter formalizes the coalition of more than 30 organizations lead by ODOT and will enable the coalition to better guide TIM training in the state. Signatories include ODOT, the Oklahoma Turnpike Authority, Oklahoma Department of Public Safety, Oklahoma Highway Safety Office, local fire and police departments and wrecker services, among other safety-related organizations. “OKTIM’s biggest achievement will be improving incident management by getting this training to as many first responders as possible,” State Maintenance Engineer Taylor Henderson said. To date, the coalition-sponsored trainers have educated more than 10,000 responders with 458 trainers. 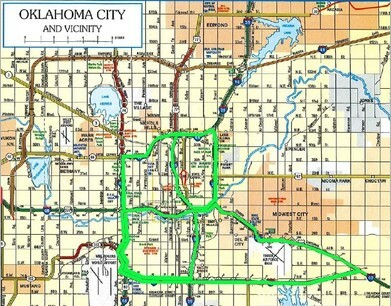 In Oklahoma, traffic incident management is currently taught in technical schools, the Oklahoma Highway Patrol academy and ODOT-sponsored training sessions. The initial routes for the GO-DOT safety patrol vehicles are: I-35 between I-44 and I-240, I-235 between I-44 and I-40, I-44 between I-35 and I-240 and I-40 between I-44 and I-240. GO-DOT is not an emergency or towing service but a free driver assistance service.